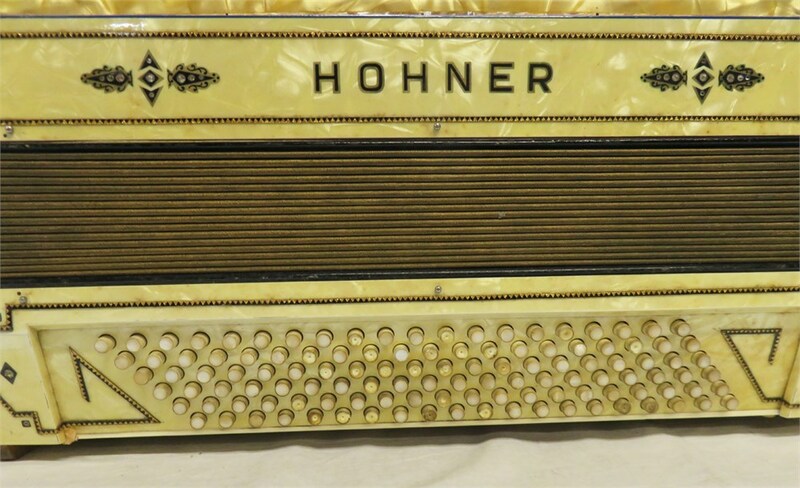 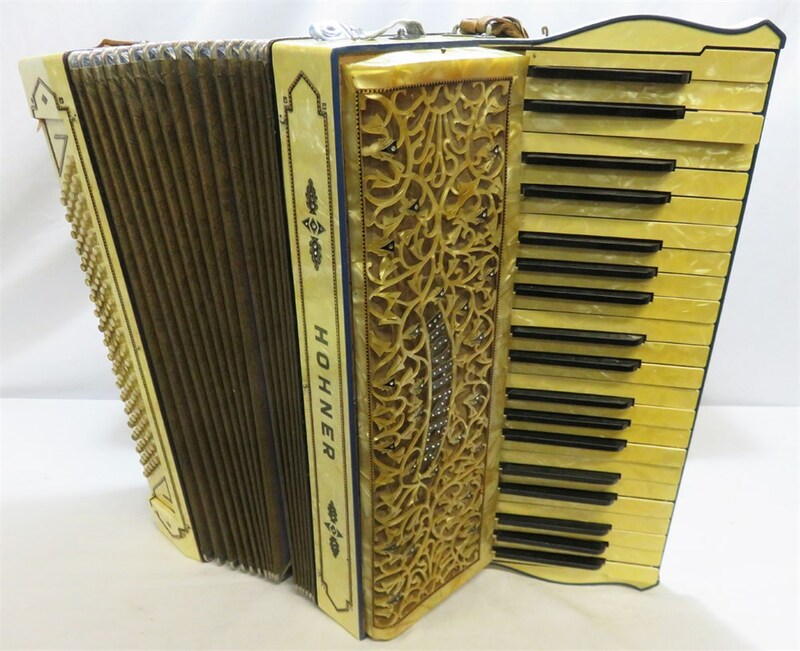 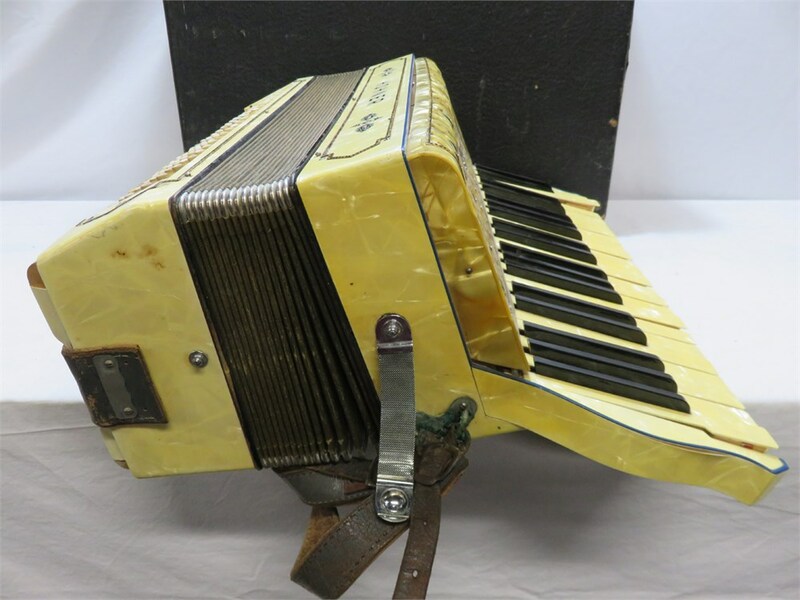 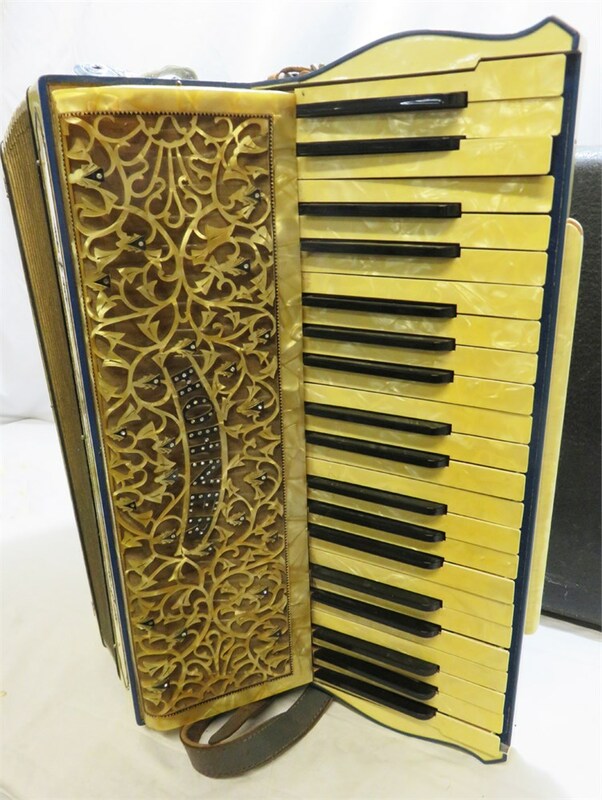 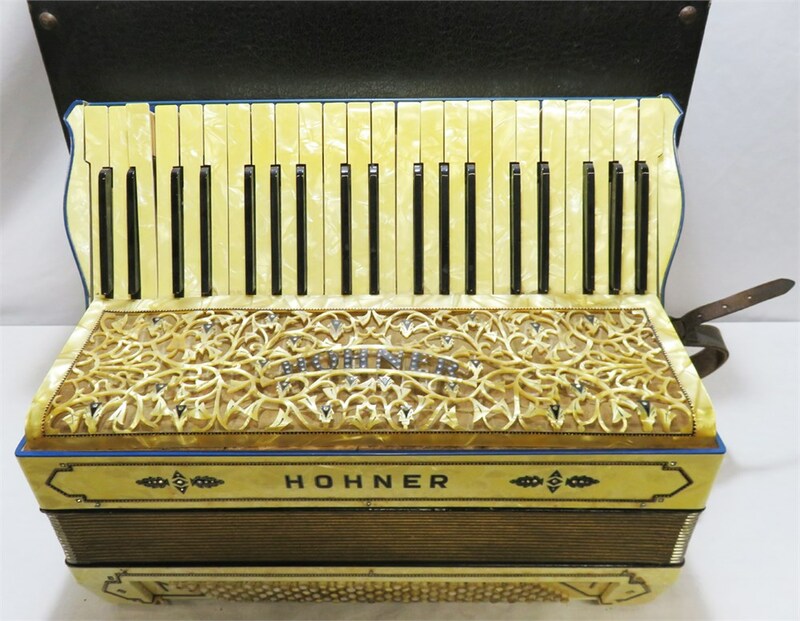 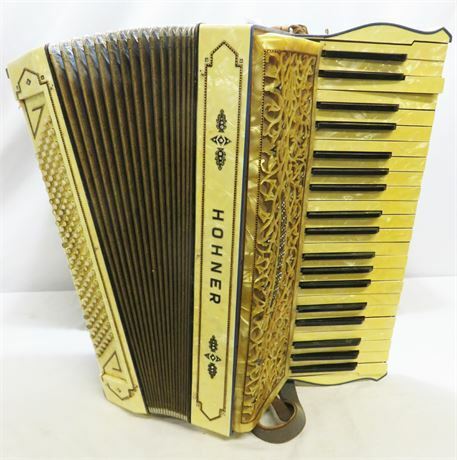 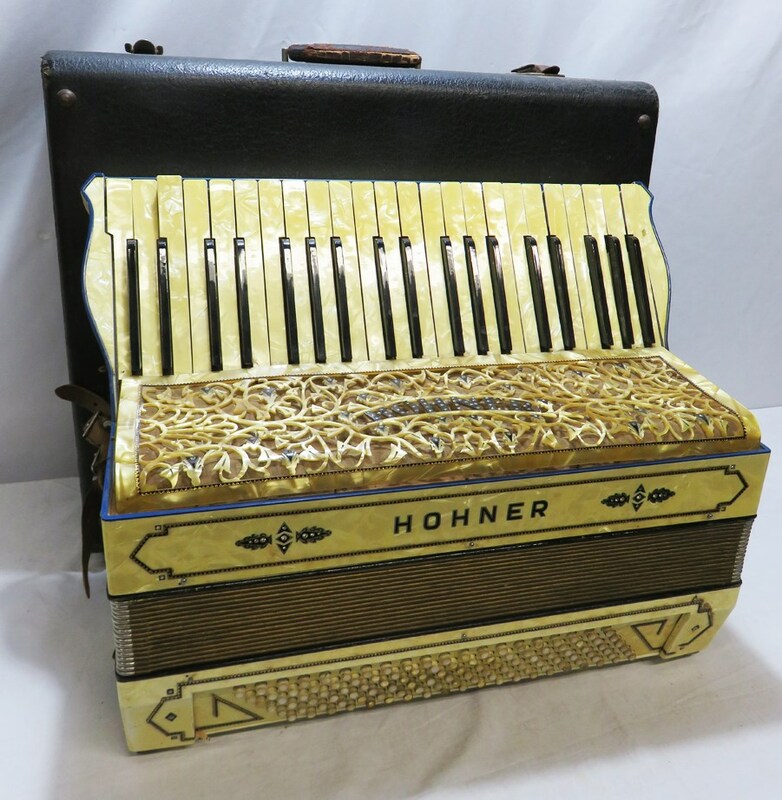 A vintage Hohner accordion (circa 1937) made in Germany. 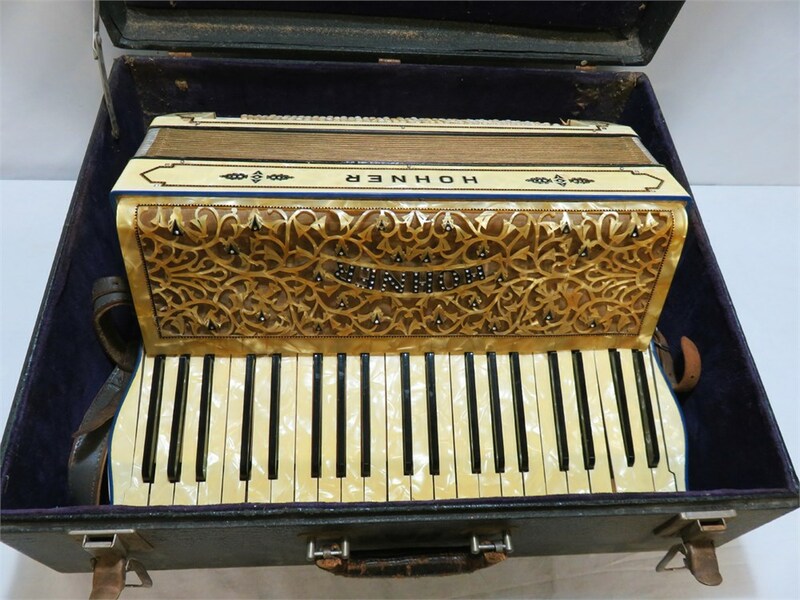 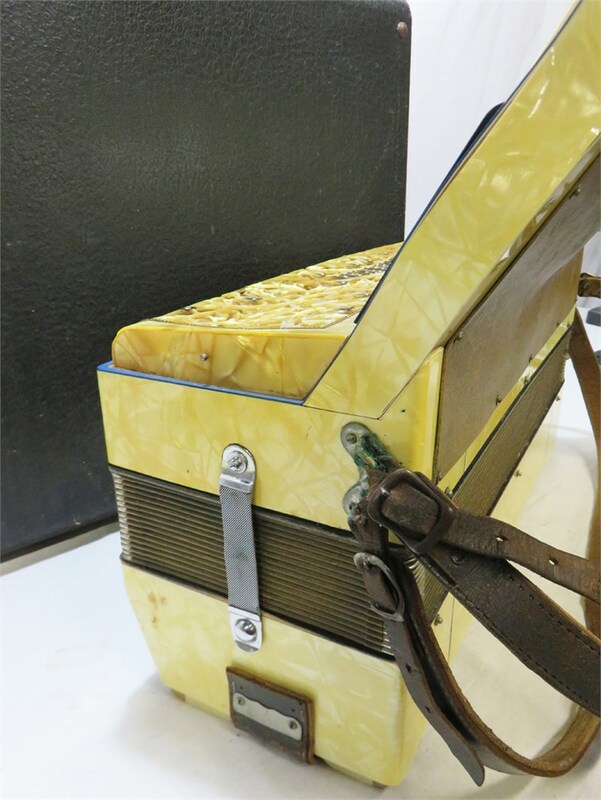 This accordion contains no model name or number, but is believed to be the Grand model, most likely made at the end of the thirties. 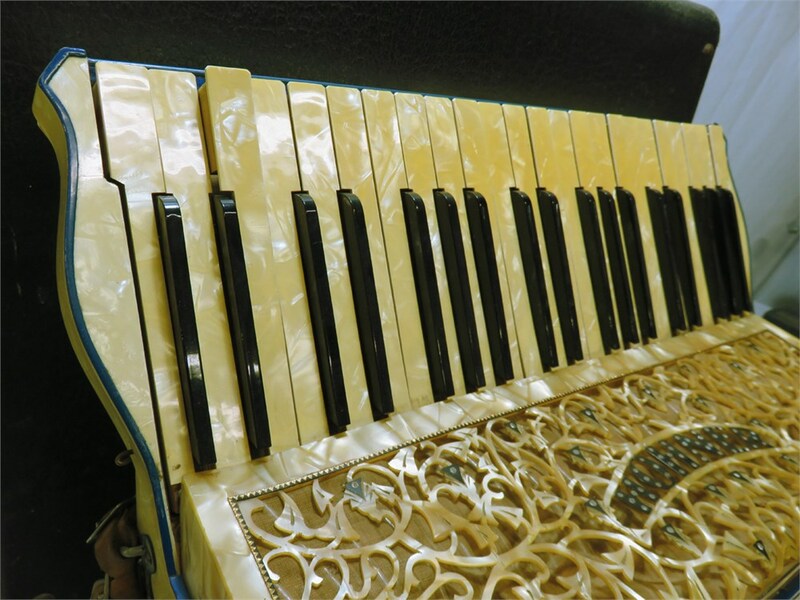 It has 41 treble keys, 120 bass keys and a push switch for the thumb ball. 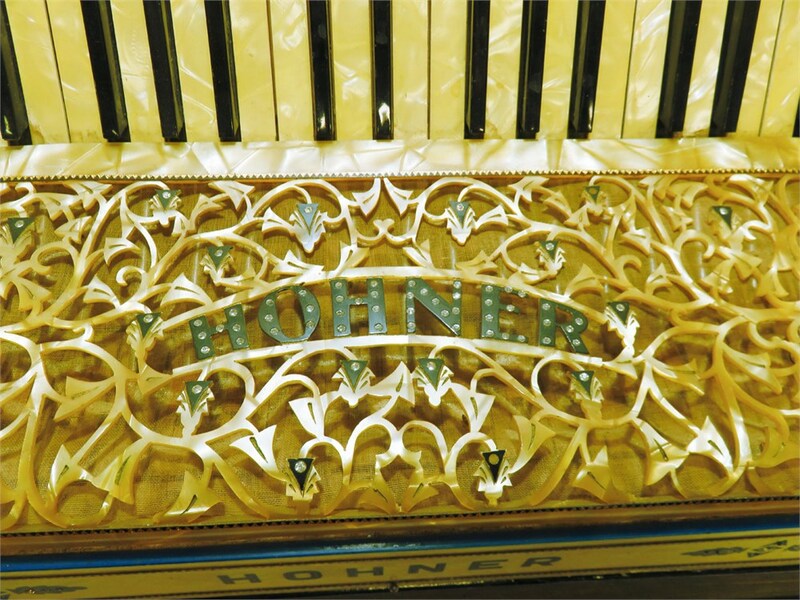 This switch / register serves for the combination of 4th reed block with the others. 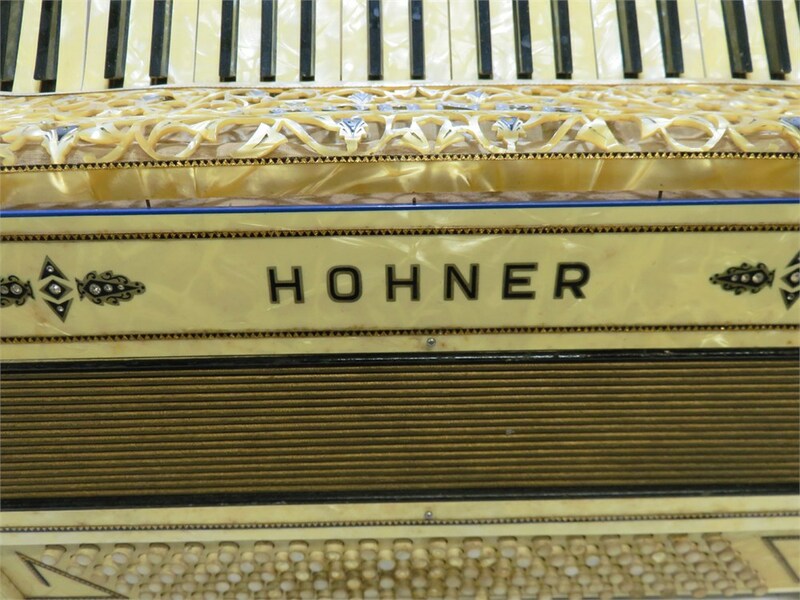 As a model with 4 reeds in the treble, it was meant to be for professional use, already by that time. 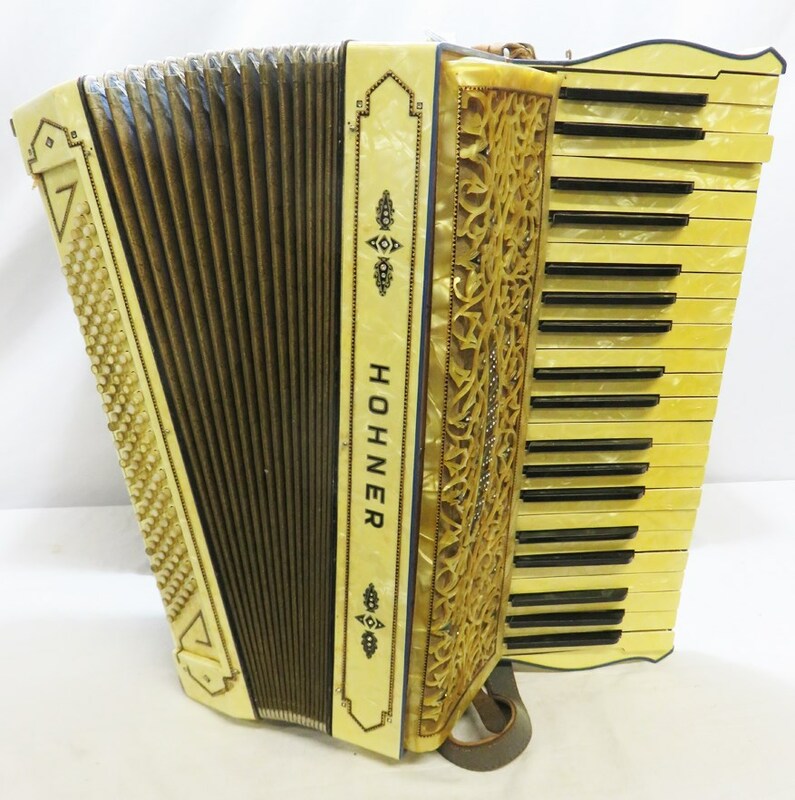 Cosmetically this accordion shows wear that is consistent with age and use. 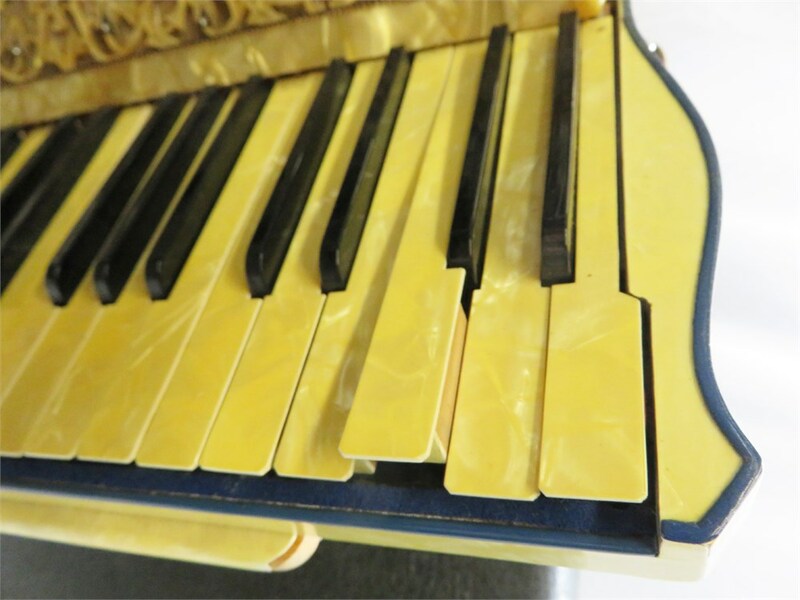 One of the keys is protruding about 1/4 inch above the others (see photo), but is still functional. 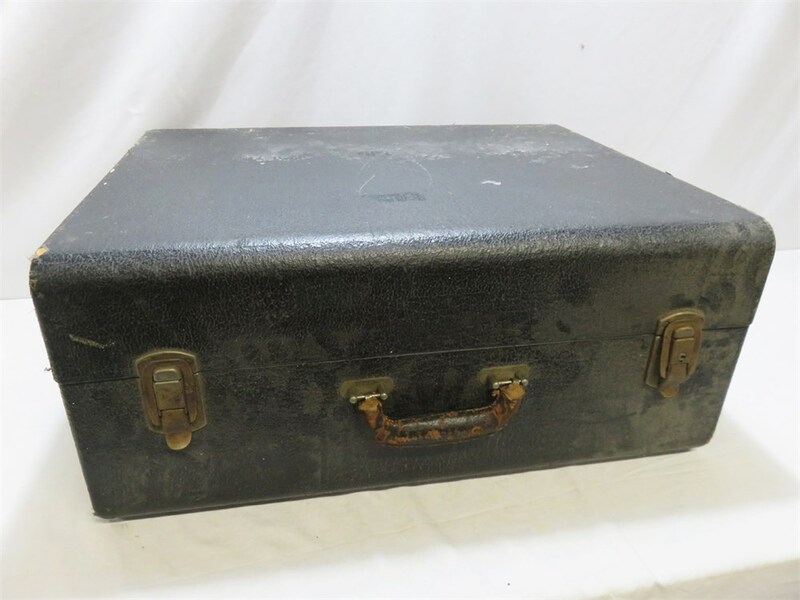 The hard shell case is felt lined and also shows wear consistent with age and use.